Hello there! 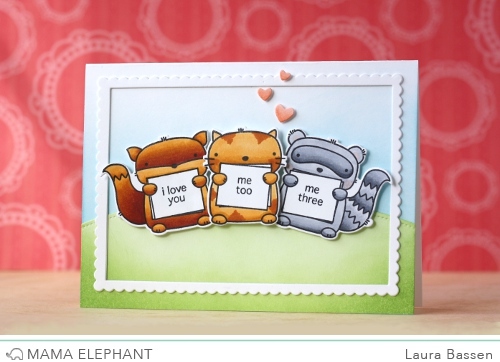 Laura here and today I have a card to share featuring the adorable new Three Amigos stamp set with coordinating dies. I created a frame for my "amigos" using the Index Card dies. Then I made a hill for them to stand on using one of the Borderlines Trio dies. I used Mojito to blend in the green for the hill & Rainwater for the sky. 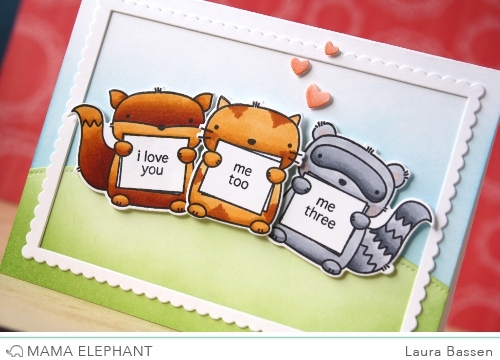 After coloring these cute little critters with Copics & adding the sentiments, I popped them up with foam tape and added a few little hearts from using the Confetti dies. I can't get over how fun this stamp set is. The sentiments really make it so fun. I want to show you one more card that I made where I added a photo of my daughter instead of stamping a sentiment. I thought this could be a fun way to personalize a birthday card or graduation card. 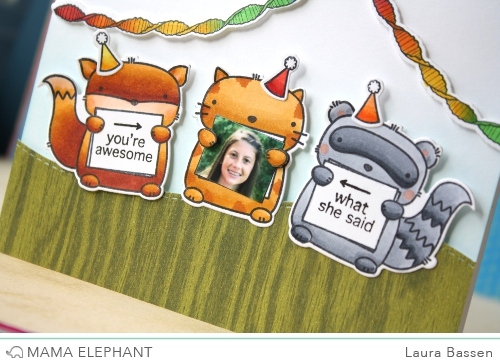 I added the streamers from the Party Kit stamps & dies as well as the party hats from the Carnival Toppers stamp set. 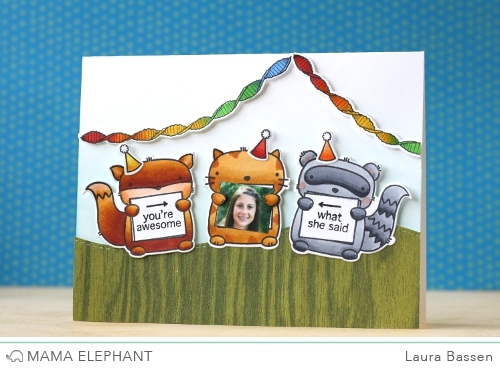 Two fabulous cards, Laura! Love, love, love the photo of your daughter...what a beauty she is! Adorable Laura, thanks for sharing!! Your fabulous cards have made this set a must have for me. So cute! Too cute!! !can't wait to get the mail! My three amigos should be here by tomorrow! Too sweeeet!!!! I love how you colored the little critters and the crepe paper streamer different colors :* adorable! especially with the picture of your daughter!